Dan Sheedy Male Voice Talent. You need not look any further for the “Golden Voice” for your Commercial, Promo, Movie Trailer, Audio Book, Corporate/Industrial Narration, or assorted Characters and Dialects. Dan has it all – right here – right now. Welcome to my home on the web. If you’ve made it this far, you’re either searching for a voice, checking out your competition, or you’re lost. Whatever your reason for visiting, I’m glad you stopped by. While I’ve tried to post a variety of voiceover cuts to the site that demonstrate a broad range of styles and clients, they represent only a small sampling of the work I’ve done over the course of my career. 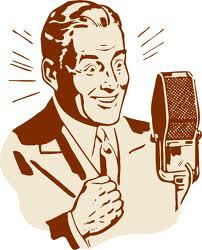 Narration has been a big part of the work I’ve done since I became a freelance voice talent in 1976. However, much of it is not in the public domain and is not intended for public consumption, even for the purpose of demonstration. If you have a long form script that you’d like me to audition for, contact me by email or phone and I’ll be happy to read a few paragraphs, or a page, for your consideration. All material will be kept strictly confidential. Turnaround time is usually fast, often same day, because this is all I do. I am not a part time dabbler in voiceover work. I have no other business interest. If you need help with a script, whether it’s for a commercial, PSA, promo, or a longform corporate or industrial, I can help with that, too. I have 34 years of experience in this line of work. Before that, I was a news reporter, so I spent a large part of each work day writing. Don’t hesitate to email, or call. As I said before, this is all I do so I’m reachable almost all the time. I do take breaks for food and I sleep once in a while, but other than that, I’m easy to contact.